Writer, poet and translator Marko Kravos was born in 1943. He lives and works in Trieste, among the city’s vibrant Slovene minority. He graduated in Slavic Languages at the University of Ljubljana. For 25 years, up until 1993, he managed the ZTT, a Trieste-based Slovene publisher, going on to become a professor of Slovene literature at the University of Trieste. 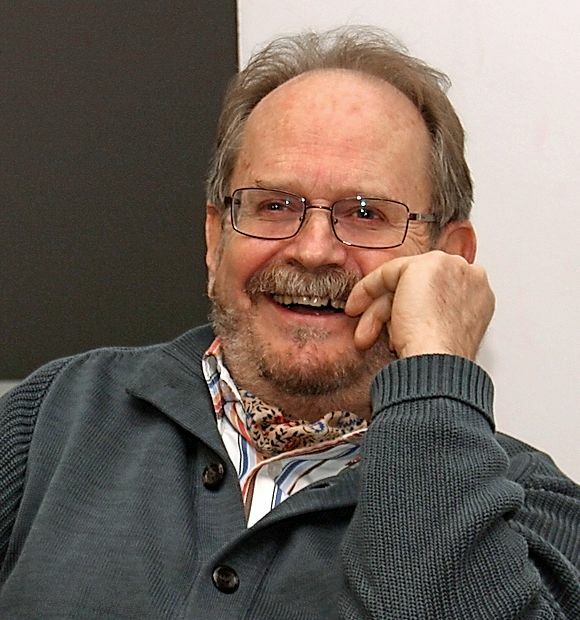 He was among the founding editors of the literary magazine Zaliv, president of the Italian Union of Slovene Cultural Associations, president of the Slovene Club in Italy; and in Ljubljana the secretary of the Slovene Writers’ Association as well as president of the national PEN Centre between 1996-2000. In addition to translating from Italian, Spanish, Serbian and Croatian, Marko Kravos writes poetry and fantasy fiction for youth and adults. His expression is characterized by playfulness, imaginative richness, onomatopoetic elegance and attentiveness to the sensually-emotional dimension of the human condition in contrast to the elemental one of nature, traits for which he’s been described as a poet of the Mediterranean. In his own words, his ideation arises from “borders and small converging spaces”. Several of his works were published bilingually in Slovene and Italian, in addition to appearing in over 25 languages. Recent collections: Sol na jezik /Sale sulla lingua (Salt on Tongue, Slo.-It. 2013), V kamen, v vodo (Into Stone, Into Water, selected poetry 2013), Zlato ustje/ L’Oro in bocca (The Golden Mouth, Slo.-It. 2017), Kot suho zlato (Like Dry Gold, 2017). Marko Kravos is a recipient of the Prešeren Foundation Award and the Celje Golden Coin for Poetry, alongside several Italian awards, most notably the Pisa Golden Astrolabe, the Calabria Prize and the international poetry award Trieste Scritture di Frontiera.